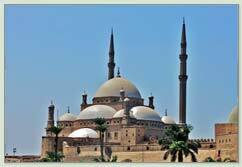 On the east bank of Cairo, from the north to the south, are the neighborhoods of Islamic Cairo. Here you will find hundreds of Mosques, many dating back to medieval times, also crowded bazaars and long narrow streets. 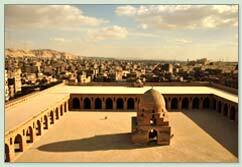 To the south of the Islamic district you will find Old Cairo, where some of the city's oldest monuments can be found. 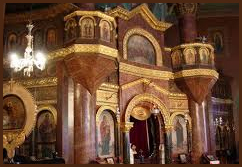 Old Cairo is the home of Cairo's Coptic Christian community, and the site of the Coptic Museum plus a number of Coptic churches.